In a world where gender discrimination exists in almost every sphere of our society, here comes the story of a woman who has achieved the top position of the world’s fourth largest company . 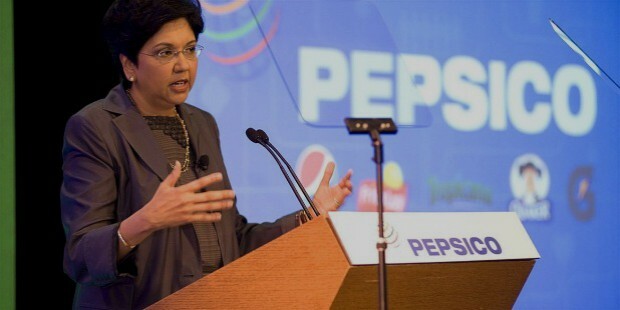 IndraNooyi, CEO Pepsi Co has scripted a success story that showcases what American dreams are made of. She has also proven that no matter who you are or where you come from, if you have a dream then all you need is the will and determination to achieve it. 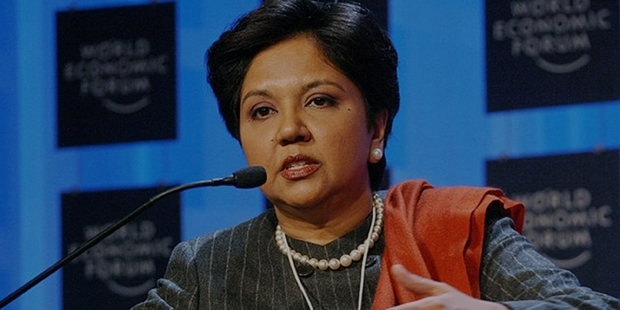 Indra Nooyi, was born on 28th October, 1955, into a conservative Tamil family in Madras (capital city of Tamil Nadu, currently known as Chennai). Her father used to work at the State Bank of Hyderabad. Since childhood she and her sister were groomed by their mother who would always ask them what they would do when they grew up and would award the one with the best answer. This compelled Indra to think hard on what best she could become when she grew up. She attended Holy Angels Anglo Indian Higher Secondary School in Madras. She went on to receive a Bachelor’s Degree in Physics, Chemistry and Maths from Madras Christian College. Her determination and perseverance helped her to get into the very prestigious Indian Institute of Management in Calcutta (capital of West Bengal currently known as Kolkata) from where she earned a Post Graduate Diploma in Management. After this, she worked for two years with Johnson & Johnson and a firm named MetturBeardsell in India. To pursue higher studies, she went to US with little money. She got her masters degree from Yale school of management. To fund her studies at Yale, she started working as a receptionist from midnight till sunrise. With her hard earned money from her toils, she purchased her first suit that she would wear to her very first Interview after her Masters at Yale. She got rejected at the interview because she wore trousers which reached her ankles. Dejected, she turned to her professor at Yale who advised her to wear what she felt comfortable in. 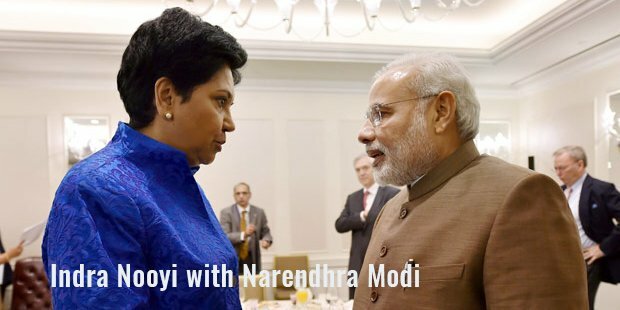 At the next interview, she wore a sari and got the job! She learned early on in her life to be who she really was and express herself for how she really felt. Since then she has followed the philosophy of ‘being yourself’. She started working at Boston Consulting Group. She had to work harder than the rest of her colleagues, and the reason behind that, as she felt was that first, because she was a woman and had to work more than her male counterparts to prove her worth; second, she was not an American. There was no way she could have compromised on the quality of her work. But again that did not stop her from growing in her career. After six years, she joined Motorola as the Vice-President and Director of Corporate Strategy & Planning. After spending four years being part of the top management team handling Asea Brown Boveri’s (a Zurich-based industrial company) US business, she joined Pepsi Co. in the year 1994. 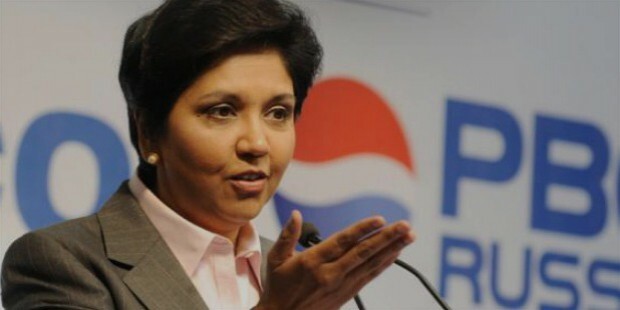 Serving the company at various responsible levels and growing solely on her hard work and rigorous schedules, she became the CFO and President of Pepsi Co in 2001, it was also announced that she was and was also to be included in the Board of Directors. She was overwhelmed on hearing the news and wanted to share the same with her family (her mother, her husband and her two daughters). As soon as she reached home, she saw her mother and told her she had great news to share to which her mother nonchalantly replied to get some milk for the next day. Reaching the top position can be a difficult task for a non-American, and a woman at that. But achieve she did, as she struggled and dealt with all the emotional, social and cultural biases that are the general norm in any work place. 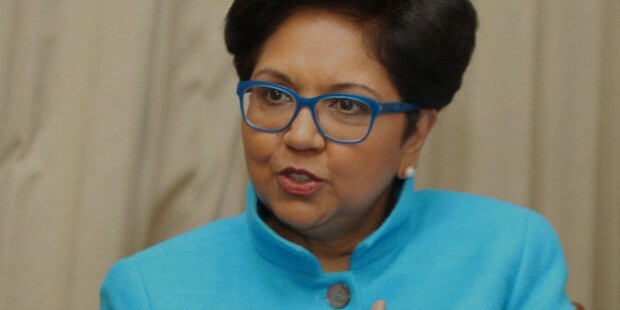 Being a working woman is no easy task and Indra Nooyi knows that only too well when she said in a recent interview that a woman can’t have it all even if she pretends to. Yet, she has proved that she can be a wife, a mother, a daughter, and a successful working woman, a woman to reckon with. 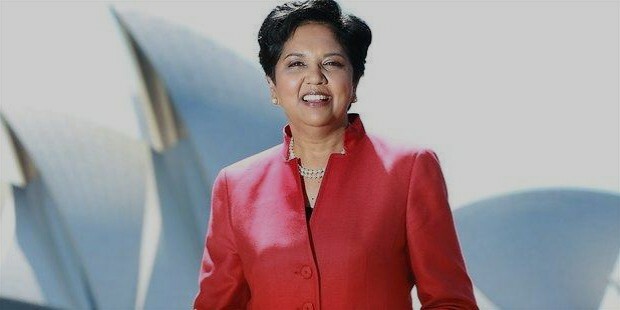 Indra Nooyi is an inspiring lady indeed to millions of young girls who fight their own battles everyday at work places. A success story that proves that a woman can achieve anything that she wishes for. 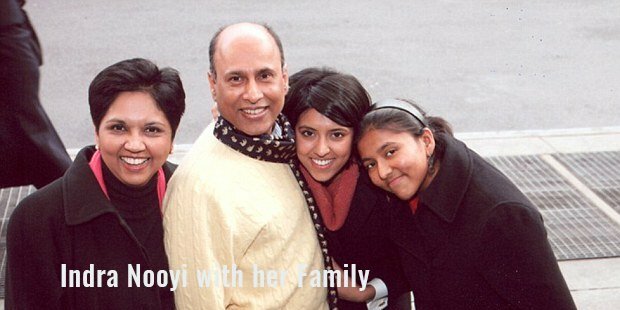 Indra Nooyi lives in Greenwich, Connecticut, USA, with her family. 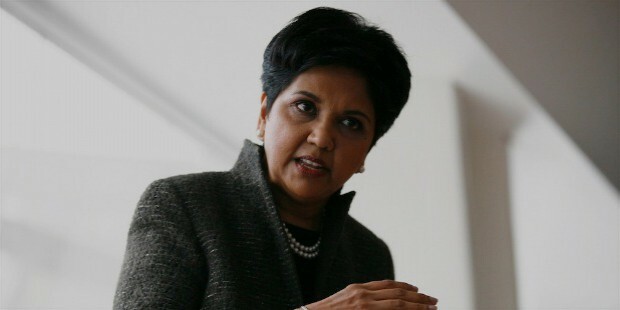 She is married to Raj K. Nooyi and has two daughters. One of her daughters is attending her alma mater, Yale Business School. She leads a vegetarian lifestyle.